Every day in this country, doctors, hospitals and other health care professionals commit medical negligence resulting in traumatic injury. Often, these cases are referred to as “malpractice.” Malpractice generally occurs when a physician fails to properly treat or diagnose a medical condition and the negligent act or omission is the cause of a new or aggravated injury to the patient. Unfortunately, medical malpractice cases are complicated by a multitude of factors that make them difficult to prove and win. Stranahan, Stranahan & Cline has handled numerous medical malpractice cases. We have access to a battery of expert witnesses, and consult with experts in the particular medical field prior to initiating any lawsuits. Stranahan, Stranahan & Cline will help you get the maximum settlement possible and handle your case promptly and properly. Stranahan, Stranahan & Cline takes all medical malpractice cases on a 40% contingency basis. Your initial consultation is free and we collect no fee unless there is a recovery. All out-of-pocket litigation expenses are the responsibility of the client. 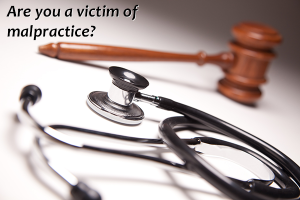 Contact our offices with your medical malpractice issue. If we are unable to handle your claim we are able to refer your case to an experienced and proven malpractice lawyer where the case must be filed.